We must get children and young people off to the very best start in life because we know that the first five years have an impact on adult obesity, heart disease, mental health and educational achievements. To flourish, children and young people need emotionally supportive parents or carers who spend time with them, a good education, a good diet and as much exercise as possible. 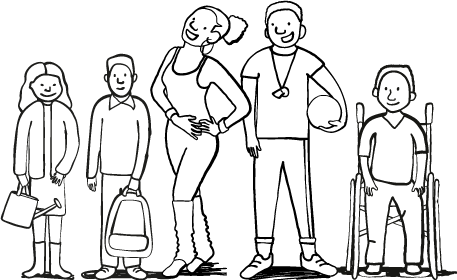 Find out more about what the children and young people’s plan means for local people. We’re working to improve local people’s health and help them to live long, happy, productive and independent lives. We can’t do this alone – it needs the full support of everyone who lives and works here. New kinds of joined up working in neighbourhoods between health partners, local people, community groups and organisations can help people manage their health conditions better and stay independent. We must provide health services closer to home to keep people out of hospital and have the good health they need to enjoy the opportunities Manchester has to offer. Find out more about what our adults plan means for local people.